from corporate tournaments to charity fundraisers. Individual, Couples, Family and Student Membership Options. Submit a tee time request online and we'll contact you to confirm it ASAP! Browse our trove of online specials. Not an eClub member? Become one today. Our staff will ensure every aspect of your golf tournament is incredible. 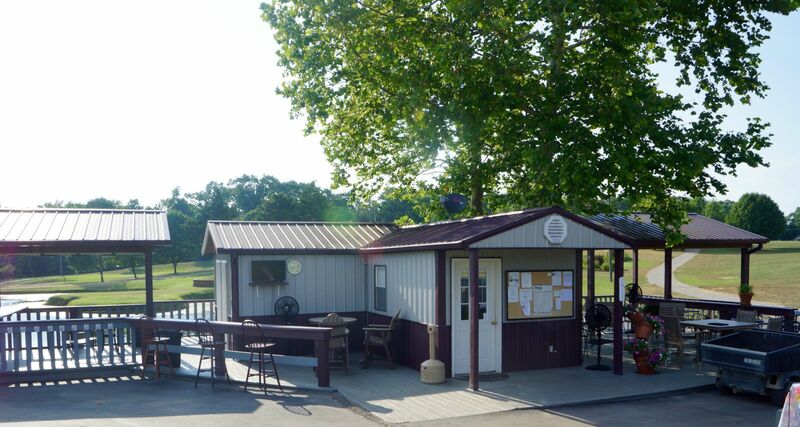 Looking for an affordable, challenging game of golf in Bonne Terre? Pallo's Par 3 Golf Course was designed and developed by Stephen Pallo, a retired teacher and accomplished greens keeper with 16 years of experience. The course opened in June of 2007 and Pallo's Par 3 is the only lit golf course in the region. Pallo's Par 3 is a nine hole course that has a total distance of 1,210 yards. The course is laid out on gently rolling hills, with water hazards that come into play on four of the nine holes. There are 23 sand traps that make each tee shot as important as a 15 foot putt on the bent grass greens. The beautifully crafted course is located in the foothills of Missouri on a 40-acre track of land in Ste. Genevieve County, just 27 miles south of Festus. Besides the immaculate greens and down-to-earth atmosphere, the fun at Pallo's just begins when the sun goes down. Don't end your round when the sun goes down—Tee it up for a good time at Pallo's. With state-of-the-art lighting which fills the night sky, Pallo's brings a new aspect to the game of golf. And with our 4-person golf carts, the whole family can enjoy the course together. Come and see what nighttime golf is all about. The challenges of the golf course and the comfortable, relaxing setting of the clubhouse will make for a memorable experience for all.